Remember when you were eager to go to work? When the prospect of learning new things and making things happen got you out of bed in the morning? That kind of inspiration is difficult to sustain, as evidenced by the overwhelming majority who drag through their days. What happened to make so many people so tired of their jobs? 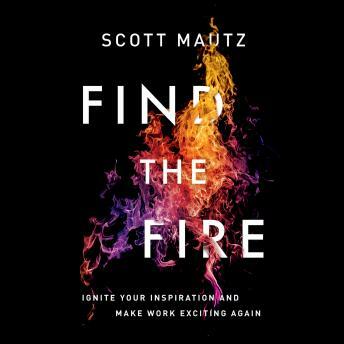 Find the Fire locates the culprits, and they're not just subpar working environments or uninspiring bosses. In the majority of cases, what drags people down are self-defeating beliefs and thought processes. From fear and dis connectedness to loss of control and feelings of insignificance, nine recurring "anti-muses" sap our energy and optimism. Inspiration rarely comes in a flash. Instead of waiting passively, the proactive strategies unlock reservoirs of inspiration (and energy) that have been buried by circumstance, neglect, and boredom, and dramatically improve work performance and well-being.